Host connectivity products are used in factory information and control systems to enable them to communicate with the wide range of manufacturing equipment that exists in an automated factory environment. Our latest product offering for creating host-side applications that easily connect to SECS/GEM equipment is HostConnect software. It features a layered architecture to support a wide variety of applications and interaction styles. 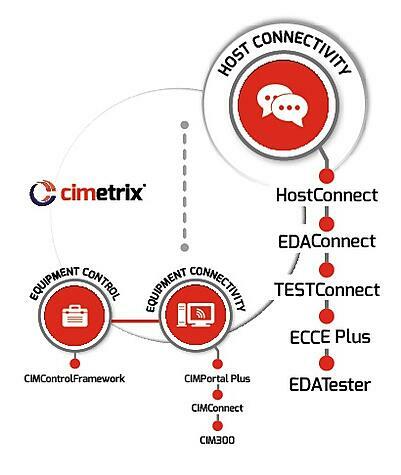 Learn more about the Cimetrix HostConnect software product for integrating SECS/GEM equipment with factory information and control systems. Learn more about the Cimetrix software product for implementing the EDA/Interface A standards in factory information and control system. Early in the standards development process Cimetrix partnered with the International Sematech Manufacturing Initiative (ISMI) to provide reference artifacts to guide the industry and to ensure the accuracy, usability, and interoperability of SEMI standards implementations. For the EDA/Interface A standards this resulted in the development of the Equipment Client Connection Emulator (ECCE). The latest version of this product is called ECCE Plus, and supports both Freeze I (1105) and Freeze II (0710) versions of the EDA standards. Consult the table below for more specifics. Learn more about the Cimetrix software product for testing equipment-side implementations of the EDA/Interface A standards. 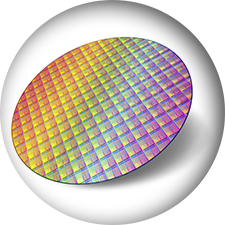 Cimetrix has long supported the industry with products that equipment suppliers use to deliver SECS/GEM interfaces with their equipment. We likewise provide a test system they can use to validate these interfaces before shipping to their factory customers. Learn more about the Cimetrix software product for testing equipment-side implementations of the SECS/GEM/GEM300 standards. Selected by ISMI as the official Equipment Data Acquisition (EDA) reference client for validating a equipment-side implementation of the SEMI EDA/Interface A standards.